A sudden explosion of new customers and growth is always desired when you’re starting a business; who wouldn’t be excited about a massive influx of profits? But growing too fast can present some very difficult, and all-too-common, challenges. Thus, you need to be prepared with the right growth solutions to manage your business along the way. To get started, ask yourself this: What would happen if tomorrow I suddenly sold 1000 percent more? Am I ready? Consider the demand of shipping and other areas of logistics for your business if you suddenly have a spike in sales and popularity. You may need to move locations to meet demands. You may need to handle a higher volume of supplies and shipments than your current vendors may not offer. You might have to improve supply chain management. The solution is that you plan ahead and take a look for a better logistics company to aid in the growth. Having the research done ahead of time can eliminate some growing pains. Rapid business growth can cause a ton of cash flow problems. Your old resource management strategies will no longer be effective. This is unfortunately one of the most common growing pains for business. Thankfully, you can easily find business growth solutions to address these financial problems. Small business loans or other cash infusions, like invoice factoring, could provide helpful at a time of rapid business expansion. Use these strategies when you are facing cash flow issues due to business growth. Think about the demand for employees if you are a small business. If the right people aren’t placed in the right position, you are very likely to create a toxic work environment. Sometimes, you may need a supply chain consultant to understand your needs during growth. Otherwise, you have the chance of hiring the wrong people that are unqualified for their area; you may disrupt the community feel of the original workers and develop an alienated workforce. Try to control your growth solutions by taking the additional time to hire the right individuals based on piecing together a great ad for the job. Once you have the right people apply for your job openings, it will be much easier to fill them. And, you company will grow quickly as a result. Consider whether your business can handle an influx of complaints, questions, feedback, and the like; if your customer service experience is limited to just a few people and suddenly hundreds are trying to reach your business there will be a delay and this can cause a disgruntled customer. Besides hiring the right people, adapt and introduce the right systems such as customer service management services to streamline the response time. If your phone systems are too slow, try implementing a hosted VoIP service. Using these services as growth solutions, you will never miss an opportunity to leave a great impression on a customer. This will lead to a great company reputation and referrals from your customer base. Consider what happens to your core values, retail business plan, and direction if you were to experience a sudden rise in popularity and demand. You may find that you lose sight of the original ideal, cater to the “yes men,” and lose the charm that brought people to your business in the first place. The solution is to outline your core values and make sure that every individual you hire to accommodate the growth understands the importance; you should also hold regular meetings and gain feedback from your employees to ensure they feel they are still aligned with the goals and aspirations of the company. Consider all the situations where you may fail on social media customer service, alienate the community, or miss deadlines to customers. You may have made a sale but because you’re so focused on continued growth you fail to retain customers. That sets you up in a situation where one new, better competitor could wipe you out. The solution is to always introduce new value to your products and services, have incredible customer service, and constantly keep in contact with your customers so that you turn them into lifelong patrons of what you have to offer. Consider the systems you use to make the business operational (computer hardware, warehouse space, company vehicles, and the like). 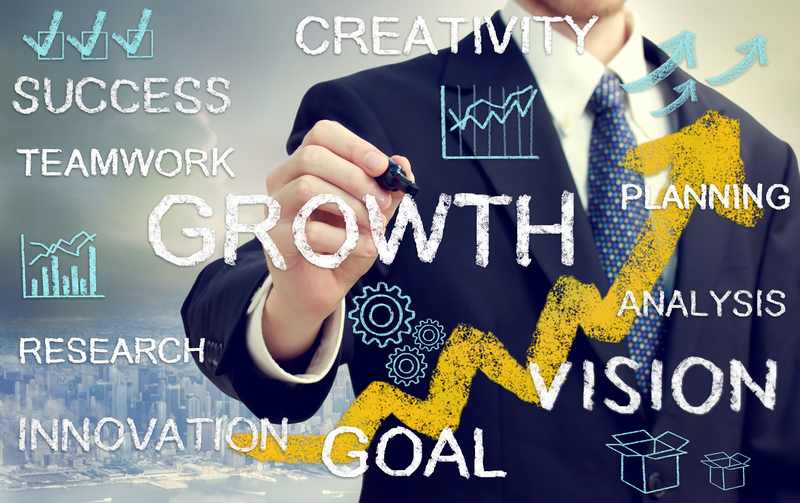 Rapid growth can tie your business in a knot with these items. If you fail to provide your employees with these essentials, you will begin to hemorrhage revenue because they don’t have the tools they need to do their job. The growth solution is to change over to larger systems or work with better providers to meet your demands for such items; it will take research, but it also reinforces the importance of networking with people outside your industry so you’ll have these contacts when the time is right. A major driver of any business growth model is sales. If your start up is growing quickly, the sales engine must be properly aligned with the business. That means, the sales strategy, structure and incentives must be all aligned to create a sales engine to generate leads, customers and accounts. This sales engine is one of the best growth solutions for any company having customer experience issues or any other expansion problems. Once sales are aligned to win more customers, the company can grow rapidly. However, the entire sales process has to be aligned and the business should have the capacity to handle the new orders.